Dear diary, I am happy only at sea, on the way from one island I just left to another one I have yet to reach. I've read that mesciua was born from the sea, between the Ligurian coasts, a poor man' soup put together with those grains that the longshoremen’s wives could gather from time to time on the docks, as treasures unwittingly fallen from the slits of the bags, worn out by time and travels. I imagined a thick soup, with the poor and robust flavor of the land, the waves and the adversities, and the incisive scent of memories and hope. I saw a woman with slender, well groomed hands, black hair and a scarf around the neck, wandering every day through the streets of the port to take a vain look between the cries of the people, waiting anonymously for a lover. I thought of a man overboard, with tanned arms and fatigue in the veins, with eyes following the stars and boredom for a friend; I saw him feeding himself with waves, loneliness and false freedom. I watched the woman leave, with her scarf around the neck, away from the coast and from the sound of the wind, to go and get lost among unfamiliar people, languages and scents. I felt her nostalgia, moist and dense like vapors from the kitchen; I felt it taking shape after years in the improbable taste of this mixture of grains left in the bottom of the pantry. I looked into her eyes, dark and sad of melancholy, and I listened to the vivid silence of her regret. I wished that on the bottom of the dish she could find an answer to her questions, I wanted to give her the smile and the comfort of memory; instead I saw her crying in front of this soup, so far and outspoken, living memory of a summer sky, a love never lived and a land never forgotten. I had a dream and I wrote it down this way, on a winter evening; and I dedicated it to all the travelers of the world, with their fate on the open sea, their thoughts on the ground, and their heart between two shores. The night before, soak the beans separately, covering them with water, and let them sit for about 8 hours. 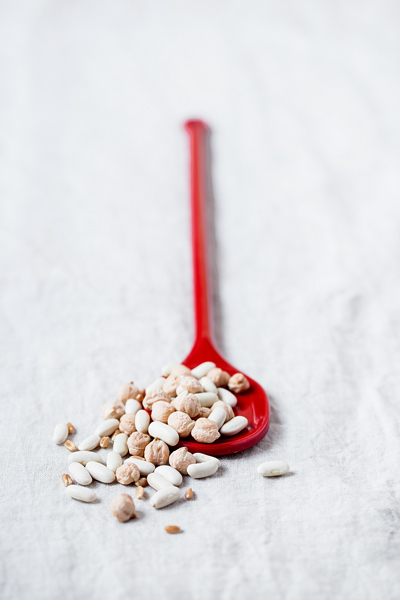 Drain and rinse, then put garbanzo beans and wheat berries in a large pot of lightly salted cold water, bring to boil and simmer for about 1 hour and 1/2. 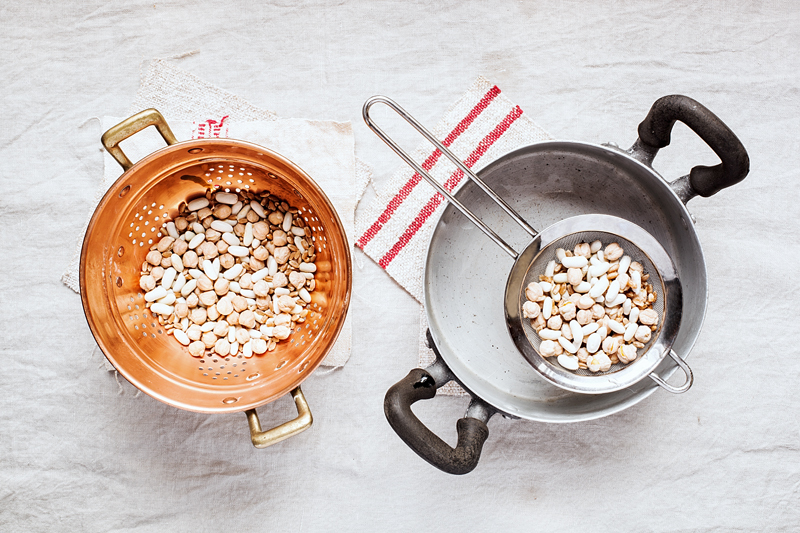 Put the cannellini beans in a separate pot, cover with cold water and cook for about 1 hour. 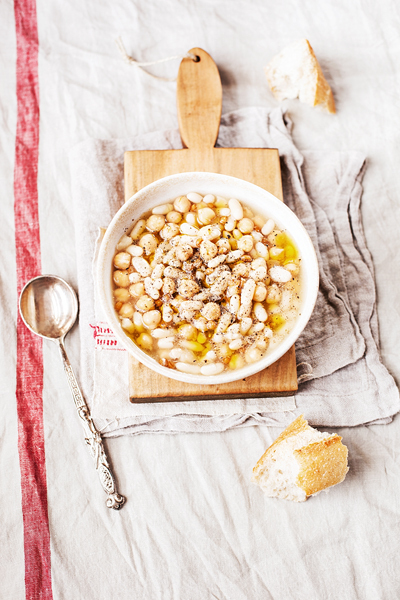 Add them with some of their liquid to the garbanzo and wheat berries, season with salt and cook for another 15 minutes. Season each plate with a bit of olive oil and plenty of freshly ground black pepper. Refrain from parmesan cheese, according to the experts it would be a heresy! This soup is wonderful!! Your photos are gorgeous!!! Would seriously love a bowl right now! This is such a gorgeous dish, and so simple. I love it! So beautiful and very appealing dish!! The rising interest in Wallace and "60 Minutes" grew partly out of the Watergate scandal. Wallace's interrogations of John Erlichman, G. Haldeman whetted the appetites of news junkies who continued to tune in to see Wallace joust with other scoundrels. A: Click the "X" in the upper right corner Oakley Sunglasses Sale UK of the comment box. Michael Kors Purses Clearance Choose one of the options to report a comment as spam or abuse. The comment will be removed from your view. Much has changed in the industry since Linton and Sac Longchamp Solde Rifici turned the chocolate factory into a grow op. Most Bolsos Michael Kors Baratos significant, Linton Ray Ban Sunglasses Sale UK says, is international regulatory changes driven by the medical research now underway. The commercialization of cannabis that began five years agowith Canada's medical regulations was the Longchamp Soldes Destockage catalyst for that research, he says.